Nike has been dabbled with a new shoe and popular colourway they plan on using for their upcoming release in Spring 2012. 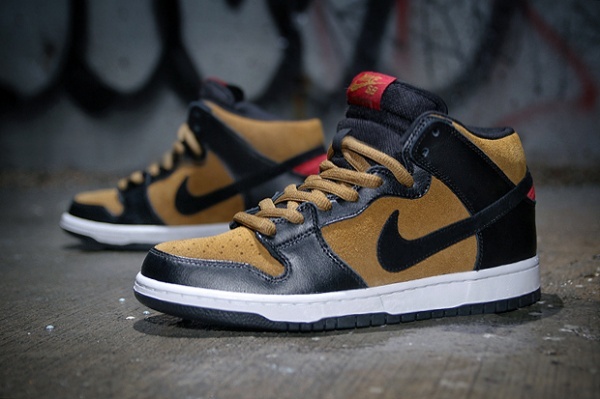 The Dunk Mid Pro comes in a golden hops colour scheme with black oiled leather. A smooth application of suede runs across the shoe with subtle hints of red tracing their way to a customary embroidered tongue tag and heel suede hit. Available online at The Premier Store with a low price of $90 USD.